Everyone supports you with a Slow Money Hawaii endorsed loan on Kiva! Endorsing borrowers on the global crowd-lending platform, Kiva, is another way Slow Money Hawaii facilitates loans to Hawaii Food and Farm businesses. We are a registered Kiva Trustee. Kiva loans are offered at ZERO interest, for up to a three-year term. The maximum loan amount for which any borrower may qualify on Kiva is currently $10,000. Farmers may qualify for a grace period before repayments begin. The Hawaii Food Producers Fund will match, dollar-for-dollar, all loan funds raised by our borrowers on Kiva! Borrowers: We'll support you through the application process, vouch for you publicly on the Kiva website, and help fundraise for your loan through our Slow Money network, ensuring that you get funded quickly and qualify for the largest loan possible. Contact Slow Money Hawaii before applying for your Kiva loan in order to receive an endorsement. Many borrowers will combine our endorsement on a Kiva loan with a regular Slow Money Hawaii loan in order to meet their funding needs. 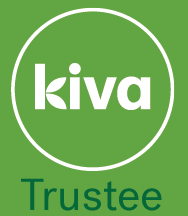 To initiate an endorsement on Kiva send us some info about yourself on our Borrower's Information page here: Need to Borrow? Lenders: Slow Money Hawaii/Kiva loans are perfect for "on a budget" lenders who are passionate about supporting our local food system. With only $25 you can become a lender. The best way to support our borrowers who go on Kiva is to join the Slow Money Hawaii Lending Team on Kiva: https://www.kiva.org/invitedto/slow_money_hawaii/by/slow9023. After joining, be sure to adjust your Kiva settings to allow periodic email notices. We will post a message when a Hawaii Farmer or Food businesses launches a loan campaign. Lenders we've talked to LOVE Kiva -- try it and see why! The Hawaii Food Producers Fund receives funding from the Hawaii Department of Agriculture and is administered by The Kohala Center and Kiva.